On Tuesday 26 March, WEAll Scotland teamed up with Rethinking Economics to co-host an event in Edinburgh discussing economics education and how Scotland can champion a more pluralist approach to economics. Rethinking Economics is a WEAll member, and comprises an international network of students, academics and professionals building a better economics in society and the classroom. The event was full of students, civil society professionals, academics and interested members of the public keen to discuss economics curriculum reform. Gary Gillespie kicked off by explaining his background as an academic economist who joined government to try to apply his economics skills to real world issues, particularly health issues in Scotland. Gary was clear that the central objective of the Scottish Government economics directorate is to improve economic and other outcomes for the people of Scotland. He said: “as an academic economist, I used to use policy to show how good the models were, not the other way around!” In later remarks, he stressed the importance of being responsive to the issues of the day, and of the need for economics and other graduates working in the public sector to be motivated by real world concerns. Katherine Trebeck was clear that economics is at its best when it is pluralist and not “constrained by narrow bandwidths”. She re-imagined the famous Ronald Reagan quote (“the only limits to growth are the limits to our imagination”), saying that our imaginations are presently limited by fixation on growth but can go further. However, it’s not just a question of growth or no growth, but of opening minds – which the university system is particularly well placed to do. She also raised the question of elitism in economics, calling for people from a more diverse range of backgrounds to engage in the topic both as a degree subject and a career. Robert McMaster explored the interplay between ethics and economics – which, he says, not enough economists are interested in doing. As a Professor who has taught economics at university level for a number of years, he believes that issues start on day one when students are required to focus straight away on “economic scarcity vs. unlimited wants”. He implored the audience to consider that economics, as currently taught, “tacitly condones those who wish to shape our wants”, and ignores power structures beyond market power. Fourth year Economics undergraduate student Lovisa Reiche had the last word. In her view, economics should be about creating a system that works for as many people as possible. She said: “Economics isn’t all bad: but there are clear problems in the way it is being taught”. For Lovisa, some of the teaching has felt “artificial” and far removed from recognisable human behaviour and values. Frustrated with what she perceives to be the stripping away of relevance from the subject and profession, Lovisa and her fellow students at Aberdeen University have been campaigning for changes – from simple shifts in focus to curriculum overhaul. Spirited questions from the audience continued the conversation, and it was clear that nobody wanted the discussion to end! It doesn’t have to: keep up with the work of Rethinking Economics and support the campaign for economics curriculum reform. 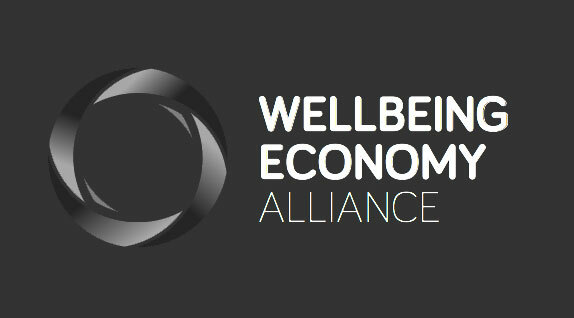 You can also find out more about the Scottish Government’s approach to wellbeing economics and the Wellbeing Economy Governments partnership here.